In January 1936 Japan announced its intention to withdraw from the London Naval Treaty, accusing both the United States and the United Kingdom of negotiating in bad faith. The Japanese sought formal equality in naval construction limits, something that the Western powers would not give. In the wake of this withdrawal, Japanese battleship architects threw themselves into the design of new vessels. 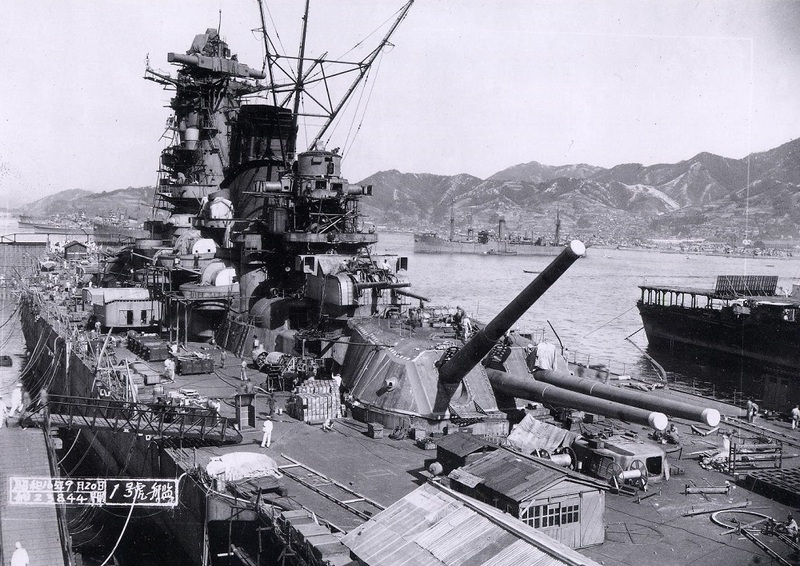 The first class to emerge were the 18.1-inch-gun-carrying Yamatos, the largest battleships ever constructed. However, the Yamatos were by no means the end of Japanese ambitions. The Imperial Japanese Navy planned to build another, larger class of super battleships, and had vague plans for even larger ships to succeed that class. War interceded, but had Japan carried out its plans it might have deployed monster battleships nearly as large as supercarriers into the Pacific. The A-150 class would have superseded the Yamatos, building on experience with that class to produce a more formidable, flexible fighting unit. Along with the Yamatos, these ships were expected to provide the IJN with an unbeatable battle line to protect its Pacific possessions, along with newly acquired territories in Southeast Asia and China. The A-150s would theoretically have carried six 20-inch guns in three twin turrets, although if problems had developed in the construction of that gun they could have carried the same main armament as the Yamatos. The uns would have wreaked havoc on any existing (or planned) American or British battleships, but would also have caused substantial blast issues for the more delicate parts of the ship. The A-150s would have carried heavier armor than their smaller cousins, more than sufficient to protect from the heaviest weapons in the American or British arsenals. The secondary armament would have included a substantial number of 3.9-inch dual-purpose guns, a relatively small caliber suggesting that the A-150s may have relied on support vessels to protect them from enemy cruisers and destroyers. The construction of the Yamatos challenged the capacity of the Japanese steel and shipbuilding industries, and the A-150s would have strained them even more. For example, producing the armor plate necessary to protect a battleship against 20-inch guns was simply beyond Japan’s industrial capacity, and would have required serious compromises. Moreover, the IJN would have struggled to surround the A150s with support units. While the U.S. Navy committed to building an enormous number of heavy cruisers, light cruisers and aircraft carriers in addition to the battleship fleet, Japan completed only a small handful of these ships during the war. Little is known about the successors to the A-150 class, which would have been larger, faster and more heavily armed. Potentially displacing a hundred thousand tons, and carrying eight 20-inch guns in four twin turrets, even the contemplation of such ships would have required a serious revision of economic realities in East Asia. In any case, the changes in naval technology that rendered the battleship obsolete likely would have become obvious before any of these monsters had entered service. But the war only exposed underlying economic realities; it did not forge them. Japan barely had the industrial capacity to build the initial Yamatos, along with all of the support ships that the battlefleet would require. This is the dirty little secret of the entire Washington Naval Treaty system; the United Kingdom could outpace Japanese construction by a wide margin, and the United States could outpace both combined, if it decided to do so. The treaty system prevented an arms race that Japan could not possibly have won, whether in 1921 or in 1937. Japan’s GDP at the beginning of World War II was a bit over half that of Britain’s, and less than a quarter that of the United States. Japan’s naval success at the beginning of the Pacific War happened because of the treaties, not despite them. The IJN played a poor hand very well, but in any kind of extended naval competition against the United States, the United Kingdom, or a combination of the two, it could not win. Upon discovering the existence of these ships, the United States would have begun to construct even larger battleships, as well as other means of sinking large battleships. Indeed, in 1952 the United States laid down USS Forrestal, the first of a class of four aircraft carriers substantially larger than the A-150 class battleships. Had the war not come, Japan would have bankrupt itself spending on these massive ships. Japan lacked the industrial capacity to compete with the United States; indeed, even if it had managed to seize and keep wide swaths of East Asia, it could not have matched U.S. industrial production for decades. The United States would have responded to Japanese construction with even larger, more deadly ships, and of course eventually with submarines, aircraft and guided missiles. Warships are (imperfect) reflections of existing economic realities. Timing, technology and grand strategy matter, but in raw competition involving mature technologies, superior economic strength will eventually prevail. The Japanese economy would eventually become competitive with that of the United Kingdom, and even the United States, but this would only happen in context of an open trading system with access to the European and American markets. No battleship could carry guns large enough to bring that outcome about.